Larry Joined Wealth Advisory Group with over 25 Years of experience in the life insurance sales, team management and brokerage marketplace. His role at Wealth Advisory Group allows him to work in all three areas. He contributes to career growth and development as well as leading the brokerage operations. Larry spent 14 years as a Principal of Rampart America. Directly following, Larry headed up the expansion of brokerage operations of American Business. 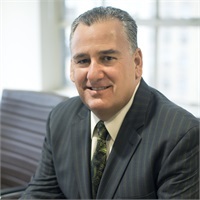 He currently serves as a Trustee of the National Association of Insurance & Financial Advisors (NAIFA) as well as Immediate Past President of NAIFA-NYS. He is also an active member of the Association for Advanced Life Underwriting (AALU), and GAMA International. Throughout his career Larry has qualified for numerous awards, including Guardian’s Presidential Citation Award every year since he joined WAG. He is an avid golfer and sits on the Board of Directors of the Long Island Caddie Scholarship Fund. Larry resides with his wife, Joan and their two daughters, in Commack, NY.